Leechpool is an ancient woodland covering 53 acres. Trees include Oak, Ash, Hazel, Hawthorn, Holly, Blackthorn, Sweet Chestnut and Scots Pine. We meet in the car park at Leechpool Woods. The entrance is off Harwood Road – the B2195 – and almost opposite Manor Fields. 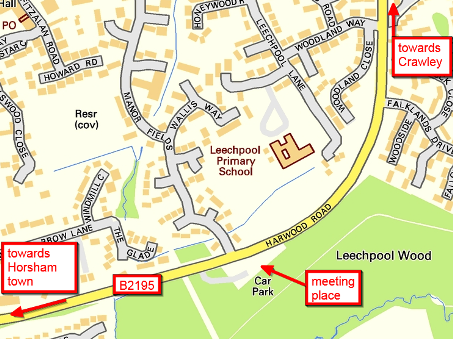 The OS map ref is TQ 193 313 and the postcode of the nearby houses is RH13 6SG. Be sure to lock your car before leaving it. Place all valuables out of sight. Bus route 98. Alight at Manor Fields. 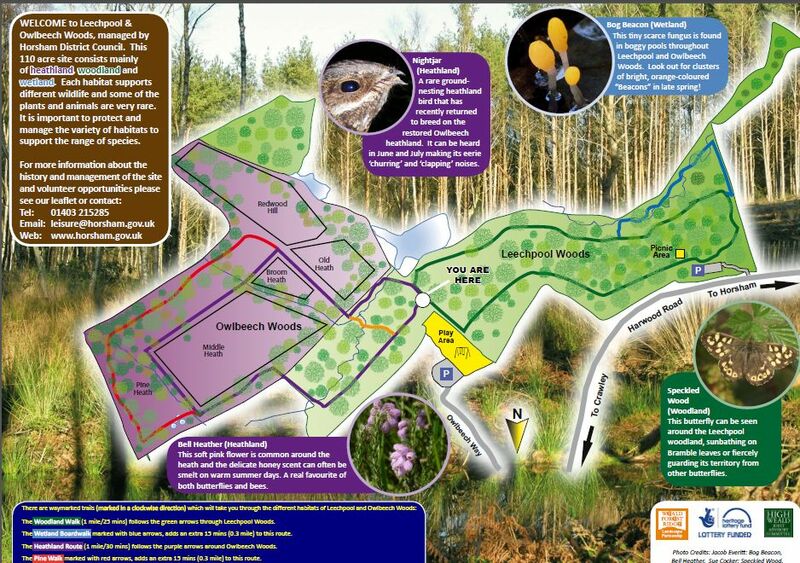 This map of Owlbeech and Leechpool woods (loads in a new tab) is a copy of that on display in the woods. Please note that on this map, for ease of use, north is down and you are looking southwards.